One of the special features of all KITO® flame arresters is the minimum maintenance required. 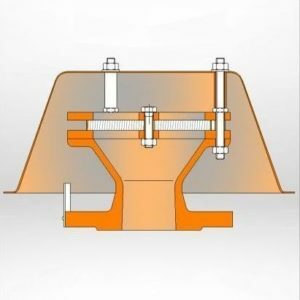 The type approval, however includes for regular checking of the flame arresters based on their operating conditions. As an approved manufacturer and registered maintenance company, we are pleased to provide advice on control checks, maintenance and adjustment, and how this may be undertaken safely. We also offer maintenance training for your operators either at our works or yours as required. When combustible gas mixtures ignite in a pipe, then the explosion starts as a deflagration, which is characterized by relatively low pressure and flame speeds. Deflagration flame arresters may be used in this situation (fig. 12-14) in order to avoid a propagation of the reaction into the system. Unlike detonation flame arresters their use is limited to short pipe distances between the likely ignition source and the flame arrester. Under some operating conditions, such as installation in torch/flare lines or thermal afterburning plants, we recommend the installation of one or several thermal sensors at the flame elements in order to detect a burning at the KITO® grid. An appropriate circuit must be connected that triggers emergency measures preventing the possibility of an endurance burning caused by any incoming mixture. 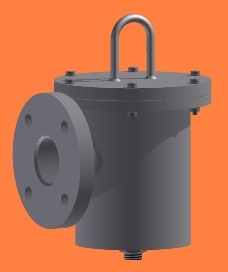 In some cases the flame arrester cannot be positioned within a distance of 50 times that of the pipe diameter (50D) from the start of the flame (ignition source); a stable detonation may then develop. The force of such a detonation is substantial and our detonation-safe KITO® detonation type flame arresters should be used. 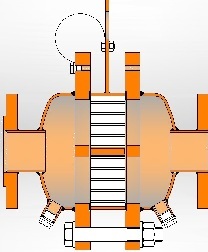 The detonation flame arrester element is specially designed to withstand the resulting pressure wave whilst still maintaining its flame arresting properties (fig. 6). German regulations do not require flame arresters certified against unstable detonation; nevertheless we developed a series suitable for this (fig.7). (fig. 8, fig. 9, fig. 10). Their use is normally certified for atmospheric pressure & temperature, but models are also available for increased pressures/temperatures. KITO® Detonation flame arresters may be installed anywhere in the pipe line, and bi-directional, meaning they offer protection from both directions. The flame elements are economically designed for low pressure losses with ease of maintenance. Under some operating conditions, such as installation in torch/flare lines or thermal afterburning plants, we recommend the fitting of a thermal sensor(s) at the flame elements. These sensors will signal a valve to close or similar method of isolating the gas flow thus preventing the possibility of continuous burning. In addition to our flame arresters designed and tested to the European standard we manufacture different models of in-line and end of line valves for special requirements. We also can adapt our products to existing constructions or make a new layout meeting the customer’s specification. Special models including additional features such as heating with electricity (fig. 15), water or steam and inductive sensors are available to meet customer’s specific requirements. Many of our devices are also available from special materials, e.g. plastics (fig. 16) or corrosion-resistant alloys, as well as with special custom built designs. Devices for mobile tanks such as tank container or rail tank cars (fig. 17) or for gas pumps, gas engines or gas analysis equipment are part of our scope of delivery.